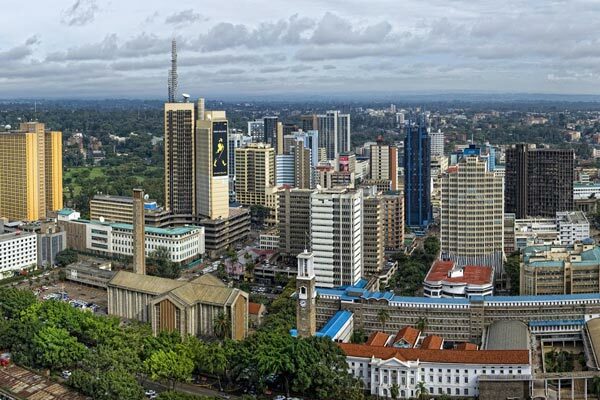 By EDGAR R.BATTE — Uganda is one of Kenya’s top tourist source markets from Africa, and with a huge potential to post more arrivals into the country. Figures provided by the Kenya Tourism Board (KTB) indicate that at the close of 2016, the market recorded a remarkable growth of 75.7 per cent increase in air arrivals closing at 51,023 up from 29,038 recorded in 2015 exclusive of cross border arrivals. While making a presentation in Kampala, KTB’s chief executive officer (CEO), Dr Betty Radier said one of the factors contributing to the growth of Ugandan tourists to Kenya is that Uganda has much lower barriers to travel as compared to other key markets. One of the contributing factors for the growth was a consumer campaign in Uganda from March to June last year that generated 15 million impressions on social network platforms of Facebook, Twitter and Instagram under the campaing dubbed ‘Tugende Kenya’ spearheaded to interest more Ugandans in visiting Kenya. “An East Africa media familiarisation trip undertaken in April 2016 under Midterm strategic Plan (MSP) created a lot of interest and awareness and a Return on Investment (ROI) of approximately Kshs14 million (about Shs500m). The Kenya coast is also highly favoured for relaxation while Nairobi remains popular for business, shopping and social scenes,” Dr Radier explains. One of the business operators at the coast, Titus Kangangi, the CEO of Diani Reef Beach Resort & Spa, attests that Diani, on the south coast of Mombasa, remains one of the favourite destinations for Ugandans owing to beach weddings. KTB assistant regional manager Fiona Ngesa says Ugandans travel to Kenya for holiday followed by business and conferences, mainly in Nairobi. Shopping is growing steadily with Two Rivers Malls, one of the biggest malls in Africa. And bizarre as it may sound, Ms Ngesa also lists medical tourism as also growing with Uganda making up 28 per cent of total medical tourists travelling to Kenya. During the opening of the POATE dinner, Uganda’s Prime Minister, Ruhakana Rugunda, said many Ugandans dream of visiting Kenya in their lifetime and called for a need for Kenyans to reciprocate by visiting Uganda. Mombasa is a favourite destination for many because of its spectacular sandy beaches, rare marine life, diverse wildlife and a rich cultural heritage with a wide offering of activities for all ages, and beautiful weather all year round. That is besides the safari excursions to the Masai Mara, weddings and honeymoon and the 500 kilometres of coastline that stretches from Lamu in the North through Malindi, Watamu and Mombasa. Ngesa says an average of $1,700 for a three to five days’ holiday is spent by Ugandans. Globally, Uganda is fourth source market for Kenya. The latest figures by KTB indicate that the top five performing markets based on air arrivals as of close of 2016 are USA with 97,883 tourists followed by UK at 96,404, India at 64,116, Uganda at 51,023 and China at 47,860 tourists. Trends show that the number of Ugandans visiting Kenya has been gradually growing in the last decade except for the period between 2013 and 2015 when tourism in Kenya and the region suffered a lot owing to terror attacks. “However in 2016, Uganda as a source market registered a remarkable recovery of 75 per cent closing at 51,023 on air arrivals alone. The figures are much higher when cross border numbers are included,” Ngesa observes. This is partly due to lack of language barrier, short physical, psychological and cultural distances from Kenya and regional integration initiatives like the use of IDs and resident permits. At the POATEC, KTB launched the a tourism campaign dubbed “Tugende Kenya- Take a break” (Let’s go to Kenya) campaign in Uganda encouraging regional visitors to travel for short breaks and experience the amazing destinations that Kenya has to offer. On reverse visits, of Kenyans to Uganda, Ngesa argues that Kenya is one of the biggest outbound market in Africa hence there should be a very good number of Kenyans going to Uganda. Unforturnately no figures are available to quote on how many Kenyan tourists visit Uganda. Besides, Kenya and Uganda have been trade partners for decades and travels between the two countries are a constant mainly for business. Solomy Ateenyi, a traveller, argues that Ugandans visit Kenya because KTB does more advertisements than Uganda’s marketing body, Uganda Tourism Board (UTB) does. She also observes that tours in Kenya are cheaper compared to Uganda’s. Edris Kisambira, the managing director at Africa Uzuri Safaris, says Uganda has not yet taken marketing seriously and that can be seen in terms of the funding accorded to UTB, which he observes is also understaffed for it to be able to carry out its marketing role efficiently and effectively. UTB has a budget in the range of Shs15 billion, which when compared to KTB’s Shs168 billion, is peanuts. Tour operator and traveller Geoffrey Baluku roots for a national carrier as a big lesson it can pick from Kenya which can be able to determine flow of tourists. Uganda has taken some lessons and reduced its tourists’ visas after burning its fingers in the face of Rwanda and Kenya who charged $30 and $50. Abiaz Rwamwiri, the director of Africa Wild, a tour company, says UTB needs to be supported to reach more consumers just like KTB is able to. He argues: “This requires application of modern branding techniques and effective positioning strategies which are costly both in terms of finance and manpower.” Uganda has self-marketing tourism products, including mountain gorillas, a variety of bird species, stunning landscapes, rich culture and more. But it will take more than marketing to realise numbers well over 1.3 million annual visitors to Uganda. Th pricing of safaris remains costly. Rwamwiri quotes an average safari to Uganda that lasts 10 days costing in the range of $2,000 per person.